Beginning keto? 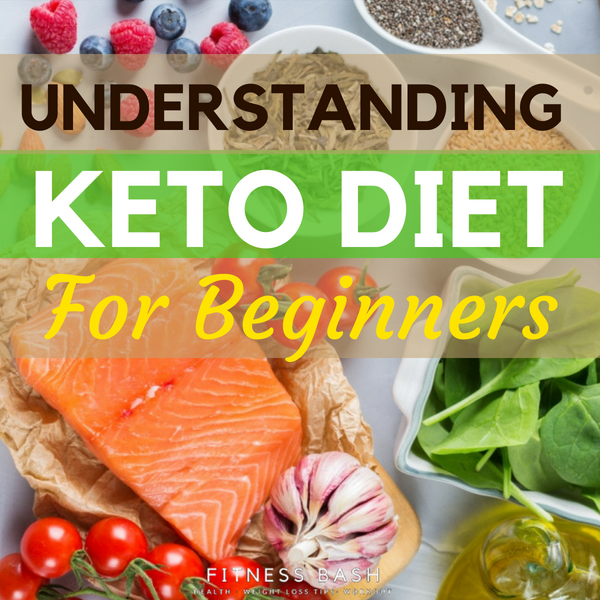 Well, first let know what is a keto diet and how it affects weight loss. A. WHAT IS KETO DIET? Keto diet is a low carb high-fat diet which aids in weight loss. A ketogenic diet is a way of eating a high amount of fats, medium amount of proteins and very low carbs. If you are interested in weight loss then carbs are not good for you. Carbohydrates are macronutrients found in starches, foods with high sugar content, bread, flour, pasta, rice, potatoes, cereals, bagels. These foods are so much available and delicious that they can be easily over consumed. Carbohydrates break down to glucose which is in turn used by the body to release energy. When carbs are discarded for a long time from our diet then our body enters into a phase called ketosis. In a normal condition, the body burns glucose for energy. But once our body enters ketosis, then it starts burning fat for energy. When in a natural condition, the body uses glucose as its main source of fuel, but while being in a ketogenic diet (deficiency of available glucose) for long, our body starts breaking down fats for energy and that is when liver produces a molecule known as ketones to be used as fuel to the body and brain. Do you want to know the ketones level in your body? Then order some ketone pee strips (NO, this is not an affiliate link). This is an important step to start. As a beginner, you need to know what are the foods which are pushing you away from the ketosis. 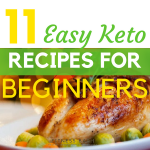 You cannot rely on every recipe you see on the internet which says keto approved. You have to check yourself whether a certain combination of foods raising or decreasing your ketones. There is also a danger of having high ketones count known as DKA (Diabetic Keto Acidosis). So, it is always good to have a ketone level checked. How many carbohydrates should you consume while in a keto diet? Low carb researchers Jeff Volek and Stephen Phinney suggested an upper limit of 50 gms of carb for daily intake. Anything below that level is good for a ketogenic diet. Aiming for 35 gm of carbs daily should be a good keto way. 1. As I mentioned earlier that you can use the keto strips to check if you are in ketosis. 3. Reduced food cravings is another indication. 4. You can also face bad breath or fatigue. 5. A bad headache could also be a symptom. Drink enough water to avoid negative feelings. Check out the 8 prominent ketosis symptoms to see if you are in ketosis. Ketogenic diet would not have been trending if it was not a very effective measure. Keeping the blood sugar level low and check on insulin it has proved to be effectively curbing diabetics. Both Type 1 and Type 2 diabetic patients have got very positive effect following a ketogenic diet. Eating more proteins and fats satisfy our hunger pangs. Following a keto diet will never make you feel hungry as you are already consuming full filling meals. Our eyesight gets effected gradually if we have high blood sugar levels. A ketogenic diet always tends to lower your blood sugar levels and hence maintains improved eyesight. It even decreases the risk of cataracts due to the same reason. PCOS is a very common problem in women health. Low carb diets decrease the overall insulin level and hence reduces the irregular menstrual periods and improve PCOS condition. It is well known that potato, pasta, high sugary foods are likely to increase the body bloating due to acid reflux. So maintaining a low carb diet improves these conditions. Taking out the carbohydrate from the diet also helps in digestion and other gastrointestinal problems. A muscle gain also comes with fat gain. A ketogenic diet solely promotes muscle gain. For an endurance athlete, the ketones in the blood lead to the significant performance boost. Dr. Stephen Phinney and Dr. Jeff Volek have a number of papers published about ketogenic dieting for ultra-endurance athletes. Gallstones are formed due to a high amount of carbs intake. So keeping a sufficient amount of fat and keeping the carb count low somewhat prevents the formation of gallstones. Low carb diets are greatly associated with lowered blood sugar levels. Since the ketogenic diets are designed to reduce the carb intake, it lowers the blood sugar level effectively. Lowered blood sugar levels reduce the risk of heart disease, kidney failures, and other cardiovascular diseases. Abdominal Obesity, diabetes, hypertension are effectively reduced while on ketosis. A large percentage of harmful fat in the abdominal cavity is lost due to low carb diets. Ketogenic diet helps to fight obesity and prevent major metabolic problems. You will notice a lack of cravings for carbs and a boost in energy levels within a week of a keto diet. High-density lipoprotein (HDL) is known as the good cholesterol which carries the cholesterol from the body to the liver where it can be reused or excreted. So higher the levels of HDL, lower is the risk of any heart disease. 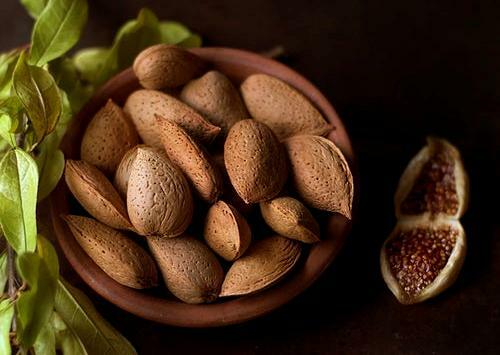 HDL can be increased by eating a lot of fats. As fat consumption is the main ingredient of a ketogenic diet, so the HDL level tends to increase measurably. The bad cholesterol or the Low-density lipoprotein (LDL) tends to increase the rate of heart disease. The higher the level of LDL, the higher is the chances of heart attacks. Though all the LDL particles are not of the same size. The smaller particles are more harmful. A low-carb diet for a prolonged period starts turning the smaller particles into larger ones and thus it becomes less harmful. Triglycerides are the fat molecules in the blood which are a strong heart disease risk factor. The consumption of sugar and high carb diet tends to increase the triglyceride level. Hence, on the contrary, a low carb diet tends to eliminate the triglycerides on a large percentage. To start a ketogenic diet all you need is determination and crystal clear meal plan. 1. Initially, it will be a bit tough to get accustomed to the new changes in eating habits. So you may take a week before you actually can start the diet. But in the meantime do not start eating high-fat diets along with carbs which is a sure shot way to obesity. 2. You will get ample of keto breakfast, lunch, dinner recipes available on the internet. Always be prepared for a weekly meal plan. You can do the meal plans on weekdays and get your grocery shopping on Fridays. 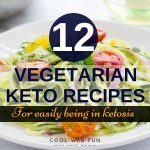 Here are 11 keto recipes for beginners and a 7 Day Keto Meal Plan for a keto diet beginner. 3. While you prepare yourself for high fat and low carb diet, do not forget to take the protein intakes in between. If you feel you are not getting enough proteins then the Egg whites are an excellent way. 4. If you are unsure of what amount of protein, fats, and carbs will be good for you then you can use the Keto Calculator. You can use any keto calculators as it is always a good start to know your body. 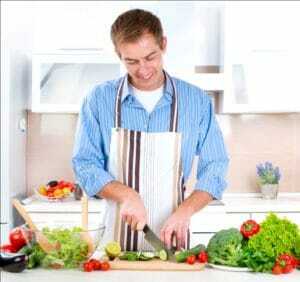 Having the calculation metrics will help you to keep focused on your diet plan. 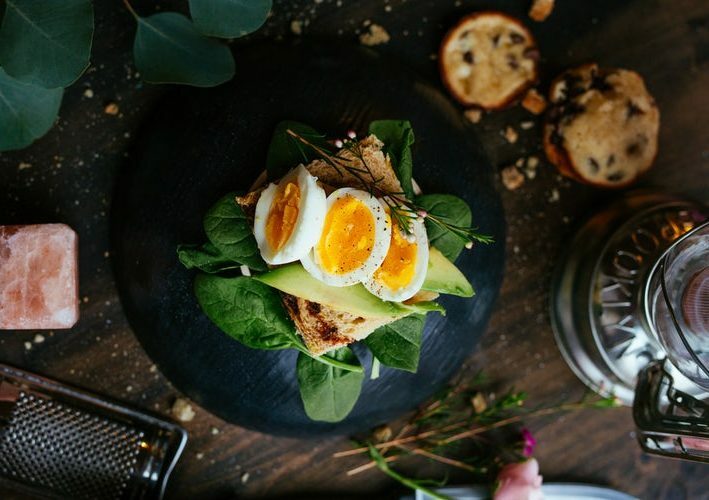 Now when you have decided to start with your first ketogenic diet then here go the food lists which you should be aware of. Here are 11 Keto fruits which you can safely eat on a keto diet and 19 vegetables list to use to fill your stomach. I also liked this vivid list of keto foods from ruled.me. You will have 2 sections here. One of the foods to have and the second, the foods to avoid. Take notice of both. Apart from the keto food lists, you can always keep some keto snacks handy. 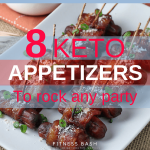 Here are 15 keto snack recipes which you can carry to gulp between foods and yet be in ketosis. We generally intake high carb diet. So, suddenly when we shift to a low carb diet then it is natural for our body to take some time before we can adapt to this new kinda diet. There are few keto side effects which are worth mentioning though they are short-term and will get over in 7-10 days. 1. Drowsiness: A very common side effect of a sudden shift to a low carb diet is drowsiness. 2. Visiting toilet frequently: As our body is getting rid of excess water so it is common to have frequent urination. 3. Constipation or Diarrhea: When you start a ketogenic diet then you are likely to face any of the two. 4. Keto flu: Another very common symptom of a keto diet is experiencing some flu-like symptoms. 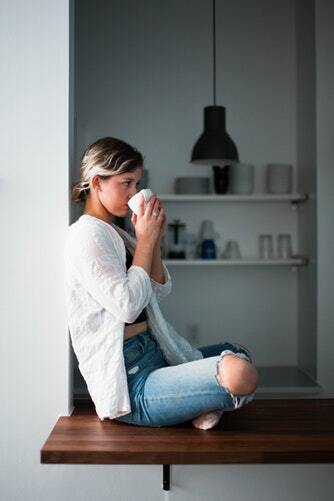 Here is the guide to Keto Flu and how to avoid it in a keto diet. 5. You may experience muscle cramps and lethargy due to the cut in carbs from the diet. Some of the side effects of a keto diet are also the symptoms that you are doing keto right and entering ketosis. Check out the signs and symptoms of ketosis to make a clear idea. In a keto diet, we will be cutting off many foods so it is better if we start using some keto supplements to fulfill the gap. 1. The first supplement which I would like to mention is MCT oil. MCT oil can be added to drinks or salads and it increases the ketones level in our body. 2. Omega 3 supplements give better results on a ketogenic diet. You can have keto friendly foods like salmon or sardines to increase omega 3 in your daily keto diet. 3. Creatine plays an important role in energy production and muscle contractions. Creatine supplements also aid in weight loss and better performances. 4. 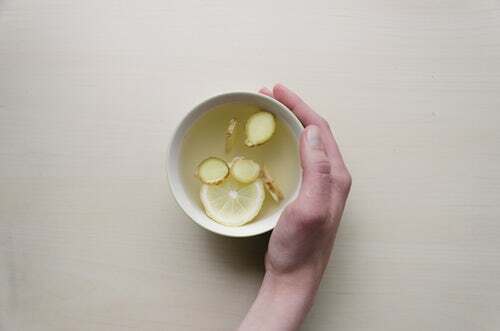 Bone broth or electrolyte replenisher helps to retain the electrolyte levels which tends to get lowered due to a low carb diet on a ketogenic diet. You can check the details about keto supplements from Healthline. If you are a beginner to the keto diet and want some interesting a lip-smacking keto recipes then you can check a whole lot of information about keto diet here. Everybody is different so a keto diet results too differ from person to person. Nevertheless, you can always give it a serious try as most people had great results with the ketogenic diet lifestyle. so can a person with hypothyroid issues also do this kind of diet,or lifestyle change? Hi Patrica, Yes it helps people with hypothyroid issues. I have had hypothyroidism and a keto diet has been an absolute life-changer. I started off just gluten-free (which also made a big difference), then moved to low-carb and now full keto. I actually find full keto easier because I have no carb cravings (eating any carbs makes me crave more!) and shopping is easy. I basically eat meat and vegetables. But there are lots of good cookbooks, websites and meal plans out there with more variety. Regina thank you so much for sharing your personal experience. Yes Keto is actually easier to follow. Basically I used to crave for sweets and keto fat bombs are just the perfect for it. Hi, I am just getting started on the keto diet and having a hard time trying to satisfy a sweet craving. Thought I could have grapes… was told no. Can someone please share with me foods that are ok to eat on this diet for sweets and snacks ? Hi Sam, search for foods in a keto diet and you will get ample of examples.